I had a very nice spicy turkey sandwich. Not super close to my work, but made the trek for the Nift! Was delicious. The oatmeal chocolate chip cookies are delicious! 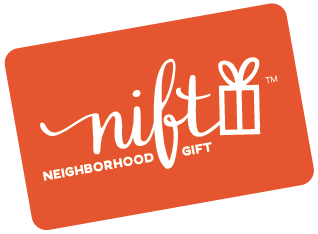 Thanks Nift and Great Harvest Bread Company! We’ll be back for more. Delicious pumpkin chocolate chip muffins! Loved Great Harvest Bread. I follow a low carb lifestyle so bread is not something I eat often. I checked their website and was pleasantly surprised to find they offered low carb bread. Best low carb bread (baked that morning on site) I’ve ever had. Will definitely go back. So glad I stopped by to use my Nift Reward. I will definitely go back to Great Harvest Bread Company. The cinnamon chip swirl bread was delicious!! Great sandwich. Minimal seating so better for takeout. I chose a cinnamon bread and an oatmeal chocolate chip cookie. My car smelled so good on the way home from the cinnamon bread. I toasted a slice and added butter and it was great. The crust was crunchy and the flavor terrific. Delicious breads and wonderful baked treats! Delicious bread and friendly service! Had no problem using the Nift coupon. Very friendly service. Great assortment of breads and other bakery treats. Will definitely make a return visit. This place was great! I’m going back and bringing my friends!!! Friendly staff, delicious scones, huge selection of coffee - even flavored decaf, which is really rare! Awesome sandwich. Hit the spot. It was easy to use my Nift gift card at Great Harvest Bread Company. Had trouble narrowing down my bread options - they all looked so good, but my bread selections were delicious (Cinnamon Swirl and Honey Whole Wheat)! Great bread bakery!. I would go again and recommend it . delicious tuna sandwich and berry scone!!! Friendly people and delicious sandwiches and bread! Great Harvest makes a delicious cinnamon swirl bread. I also tried their blueberry cream cheese scones for the first time and they did not disappoint. Two thumbs up! The store was beautiful, the staff very friendly and the bread delicious. I am looking forward to lunch tomorrow. Great bread. Wish they would slice it for you. They gave us a free slice of cinnamon bread fresh from the oven to eat while we waited for our sandwiches. Both were most excellent – thanks! This is truly a family run business. The owner was there to tell me about all the purchase options. The bread is great! the only negative part of the experience was trying to find a spot to park on a Sunday. I really like Great Harvest bread!! The bread looks great. Staff was friendly and helpful. The coffee was a great price and the pumpkin Chocolate muffin was amazing!!! I bought scones to go that I'm excited to have a recommended it to a friend who lives cloe by?